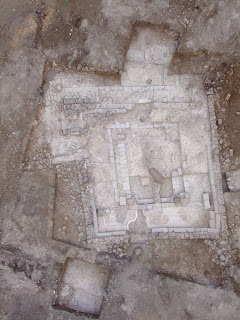 A synagogue from the Second Temple period (50 BCE-100 CE) was exposed in archaeological excavations the Israel Antiquities Authority is conducting at a site slated for the construction of a hotel on Migdal beach, in an area owned by the Ark New Gate Company. 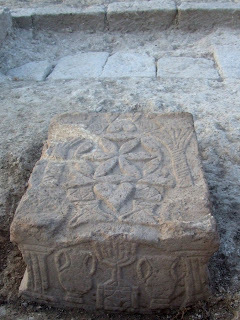 In the middle of the synagogue is a stone that is engraved with a seven-branched menorah (candelabrum), the likes of which have never been seen. 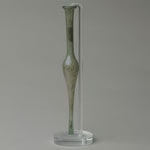 The excavations were directed by archaeologists Dina Avshalom-Gorni and Arfan Najar of the Israel Antiquities Authority. The main hall of synagogue is c. 120 square meters in area and its stone benches, which served as seats for the worshippers, were built up against the walls of the hall. Its floor was made of mosaic and its walls were treated with colored plaster (frescos). A square stone, the top and four sides of which are adorned with reliefs, was discovered in the hall. 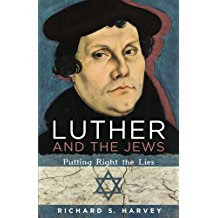 The stone is engraved with a seven-branched menorah set atop a pedestal with a triangular base, which is flanked on either side by an amphora (jars).